Although the biting cold temperatures and constant downpours of winter are now in full effect, we at MCN recognise that not everyone either wants to or is fortunate enough to park the bike up until the first signs of spring. For those riding at this time of year, one of the key elements of your riding kit has to be a waterproof protective jacket; keeping you safe in the event of a spill and reducing fatigue from the constant chill. They’re also a handy accessory to have in the summer time, saving you from a miserable ride in the event of an unexpected shower. To help you make the right decision on your next waterproof jacket, MCN has compiled a handy guide to the top five on the MCN Shop. You’re welcome! The cheapest waterproof motorcycle jacket on this list also happens to be one of our favourites. 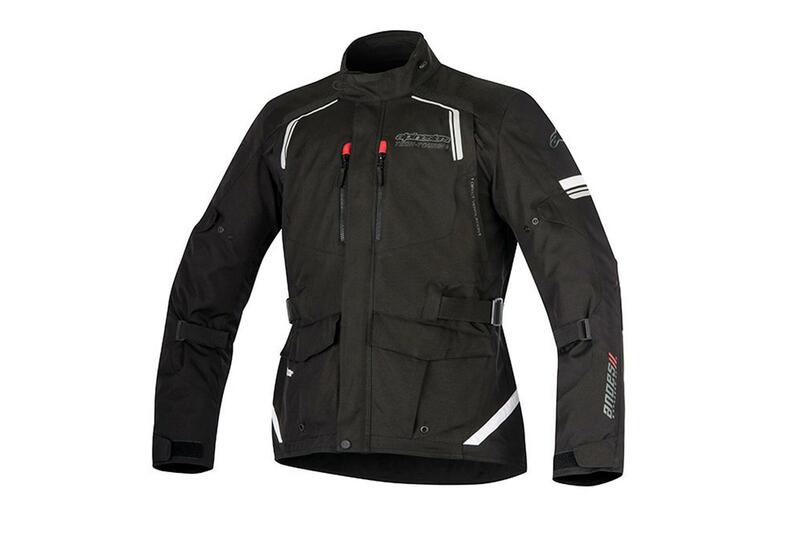 Made from a 600D outer shell with a waterproof Dry-Tek liner, this jacket is excellent when you’re looking for something to keep you nice and dry whilst riding. The jacket sports CE approved armour in the shoulders, elbows and can happily support an additional CE-approved back protector. It will also keep you warm during the colder months, thanks to a removable Thermoline insulating layer. Part of RST’s new-for-2019 range, the GT features CE level two armour in the shoulders, elbows and back alongside a SinAqua waterproof and breathable liner. What’s more, there’s also a removable thermal liner - ideal for colder rides. External TPU armour is visible on the shoulders and there is reflective piping to offer a little more visibility in low-light conditions. Strong zips should also offer more strength in the event of crash. 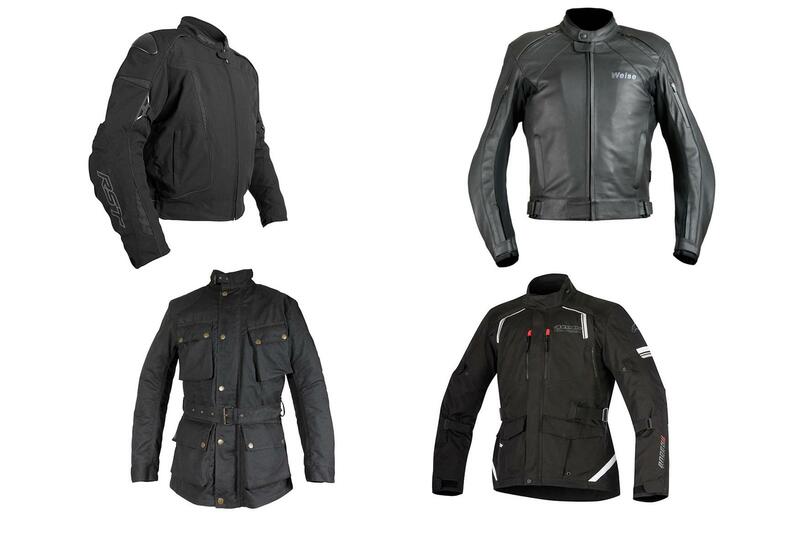 Moving into the mid-range waterproof motorcycle jackets and we find the Alpinestars Andes Drystar V2 Textile Jacket. The second generation of the Andes series, the jacket is made using a Drystar waterproof and breathable membrane with a reinforced poly-fabric construction. 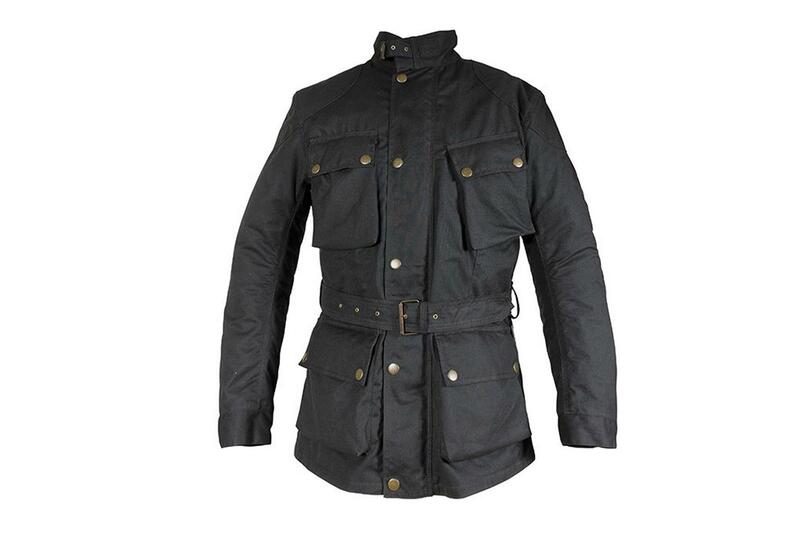 Ideally made for touring this jacket is built to last with removable CE approved armour in the elbows and shoulders as well as additional pockets for chest and back body armour. The jacket also comes with a removable long-sleeve thermal liner and additional vents that can be open or closed with zips, according to the weather conditions. It’s perfect for year-round rides. Looking for something a little more retro yet waterproof? Then look no further! The Richa Bonneville Textile Jacket brings together the vintage, retro look with all the modern features you would come to expect from a modern riding garment. This excellent jacket has a wax cotton construction with a fixed breathable membrane and removable thermal lining for colder weather. 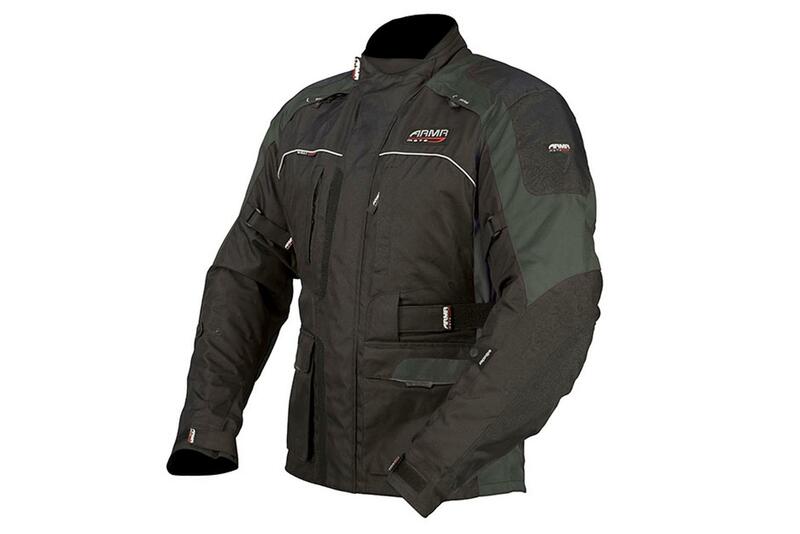 The jacket also includes CE approved elbow and shoulder armour and a pocket for back protection. Although reasonably priced, just £10 more buys you the aforementioned RST option, which comes complete with a back protector. That said, the GT CE lacks the same level of old-timey charm. OK - this is the odd one out… why? 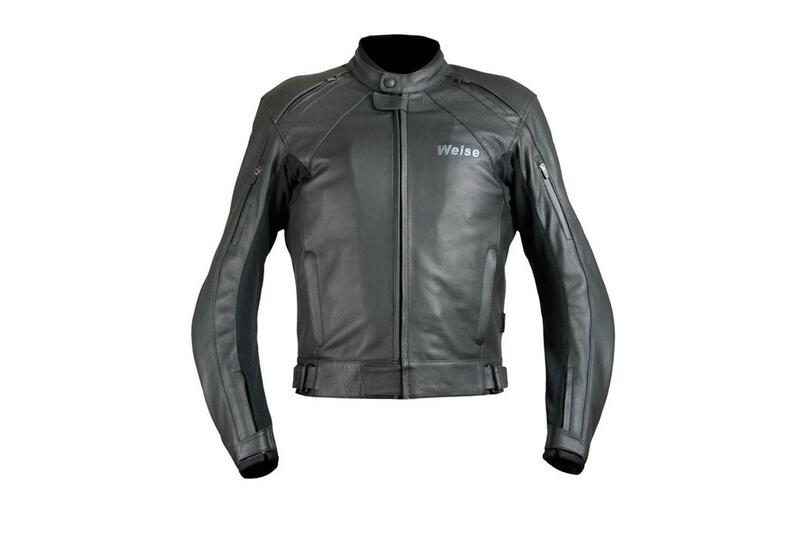 Well, just look at it - it’s a leather waterproof motorcycle jacket for a start! But, oddly enough, it’s an excellent waterproof option if you want something that looks a little more stylish. Made from 1.2mm - 1.4mm Monaco Performance leather, the jacket comes complete with a removable waterproof lining. 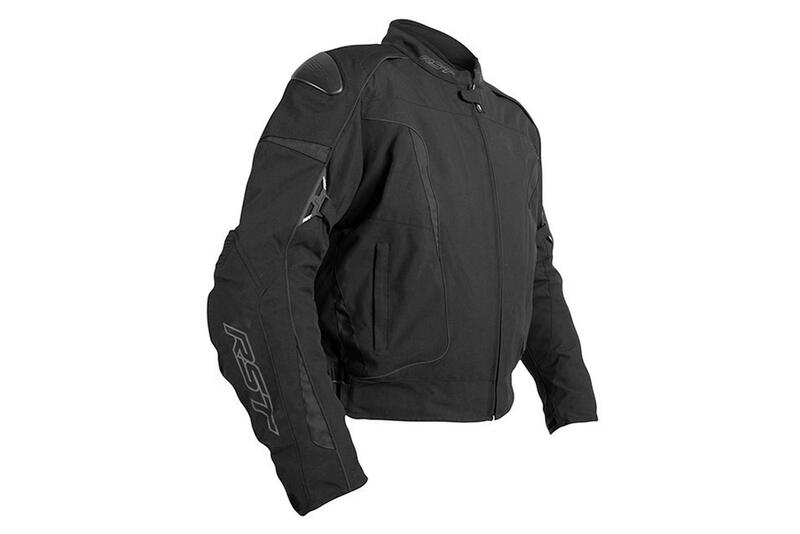 What’s more, with CE approved back, shoulder and elbow armour, a removable 120-gram thermal lining and neoprene finish to the collar and cuffs this jacket is perfect for any weather. It even has waterproofed zipped venting and breathable vents in the chest and back. Time tested: Four months/2000 miles What’s good? These are the best waterproofs I’ve ever tested.